Deciding whether to attend law school is a big decision, but we’re here to help. Learning more about law school and legal careers will help you decide whether law school is right for you. How do I decide if law school and the legal profession are right for me? Your freshman and sophomore years are good times to investigate law school and legal careers. Law school is a challenging undertaking and hiring numbers in the legal profession are down, so be sure that the field is the correct one for you by exploring your options before committing. Law touches upon issues relating to business, economics, politics, the environment, human rights, international relations and trade. As a law student, you can expect to learn analytical skills that will allow you to resolve conflicts and issues in modern society. Obtaining a law degree is a useful way to prepare not only for specific legal careers, but also for a broad range of professional roles. Like most academic degrees, law programs start with compulsory courses the first year, and allow more opportunities to choose law topics tailored to a particular career path in the second and third years. Law classes are taught through a combination of lectures, seminars, group work, presentations, class debates and simulation (practical skills training in a simulated legal setting). Talking to lawyers, getting involved in law-related activities, gaining summer internship experiences, taking courses that touch on legal topics, and reading about the profession can help you determine whether law school is right for you. What programs at KU can help me decide? University of Kansas Model U.N.
What should I do as a freshman and sophomore if I'm thinking about law school? There are no formal law school admissions "hoops" to jump through until after junior year. Freshmen and sophomores who plan to attend law school should focus on laying the foundation for a successful law school application by concentrating on getting good grades, gaining internships or work experience, and participating in other extracurricular activities. Remember, a resume is part of your law school application. You can work on building an impressive body of internships, work experience, volunteer (including leadership) experiences and study abroad to fill out your resume during your freshman and sophomore year. 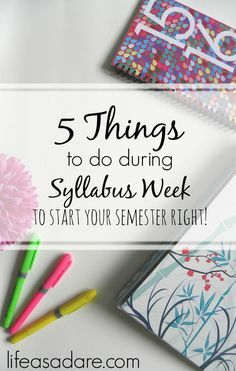 You can also hone your study skills during these two years so that you have a strong academic record as part of your application to law school. You might also want to think about scholarship options to help minimize your undergraduate debt, as law school can be expensive and may require loans. Aside from the scholarships offered to newly admitted KU students, there are additional options through the Student Involvement and Leadership Center, outside scholarships specifically for students of color and/or LGBT students, as well as a host of other outside scholarships. What should I do as a junior and senior if I'm interested in law school? If you are interested in going to Law School in the fall after graduation, this office recommends taking the LSAT during the summer between your junior and senior year. So, you should begin to study for the LSAT during your junior year. If you are taking time off between graduation and law school, you can take the LSAT when you like (your scores are good for 5 years), but the suggestion regarding preparation still applies. The LSAT is offered either September or October in the fall (it alternates from year to year), so it can sometimes fall around the time of midterms, also taking the LSAT in the summer before your senior year leaves you free to spend the following fall developing your list of law schools to apply to (instead of worrying about the LSAT). So, it is recommended that you take the test in June and that you spend at least 200 hours studying for it. The LSAT is not a good test to take cold, preparation is required. Whether you take a preparatory course, review old tests (after 2007, as the tests before then are quite different from the current tests), start a study group, review LSAT prep books or some combination of the above-studying for this test is strongly recommended, but how you study depends on what works for you and how you learn best. When researching law schools, you should think about what you want to do within the legal field. Your experiences with the world of work (internships, employment opportunities, volunteering, job shadowing, informational interviews) can not only help you develop your resume/personal statement, they can also help you explore areas of law and decide what appeals to you. A number of law schools have clinics (places where a law student can gain hands-on legal experience in a particular legal area under the supervision of attorneys), areas of particular expertise/deep alumni connection, the benefits of particular localities (for example, if you are interested in entertainment or maritime law, being on the coasts may prove optimal), as well as joint degree options (like a law degree with a graduate degree in Engineering). Knowing what you are interested in can help you target those programs that give you what you need to smoothly transition into your chosen field. If you have questions about the LSAT, LSAT preparation options in Lawrence or how to research law schools, please contact the Pre-Law Advisor.